In terms of inches, almost every range of screen size has been monopolized. Televisions have a firm grasp on the “27 or more” inch market. Cell phones and smart phones dominate the 1-5 inch department, and laptops or personal computers generally have 13 to 27 inch screens. However, one area that does not have an immediate mental association is the 5 to 13 inch screen size; but as we look at recently released gadgets and consumer trends, it would seem that this last range of screen sizes will finally find something to fill the void—the tablet. Over at the Consumer Electronics Association Line Show (CEA), Shawn Dubravac, Chief Economist and Director of Research for CEA, just finished his Mid-Year Reality Check, and the notion of filling the last screen size void is an important topic that should be discussed in tracking the future growth of technology. Screen sizes may not be something that we immediately think of when we purchase electronics, but for certain products, it could be the difference between a product excelling over its competitors or failing. Looking at the smart phones, we praised the EVO 4G’s massive screen, but at the same time its larger size taxes the battery life. In addition, the overall feel of the product could be less than pleasant if it’s too large for your personal taste, which is something that should be considered when purchasing the right smart phone for you. Determing what size is best for personal, practical, and aesthetic use is something we consider when buying our smart phones, our laptops, or our televisions. But as Dubravac pointed out, we don’t have a mental association of a product that fits the 5 to 13 inch void. Yes, the netbook has varying sizes ranging from 9 to 12 inches, but this is still a type of PC attempting to fill the void and becoming synonymous with this screen size range. On the other hand, the Kindle and eBook readers have also attempted to fill the 5 to 9 inch void in order to fit easily into a purse or backpack. Like netbooks, eBook readers are also wedging their way into consumers minds in order to convince them that they are the more portable, practical option that can capitalize on the last open screen size. However, both netbooks and eBooks are now being cannibalized by the tablet. Entering the market at approximately 10 inches, the tablet PC seems to be the perfect fit to fill the void. Moreover, with the iPad selling 2 million units in just 60 days, it is becoming more and more clear that the tablet is here to stay and could very well be what future generations associate with the 5 to 15 inch range. 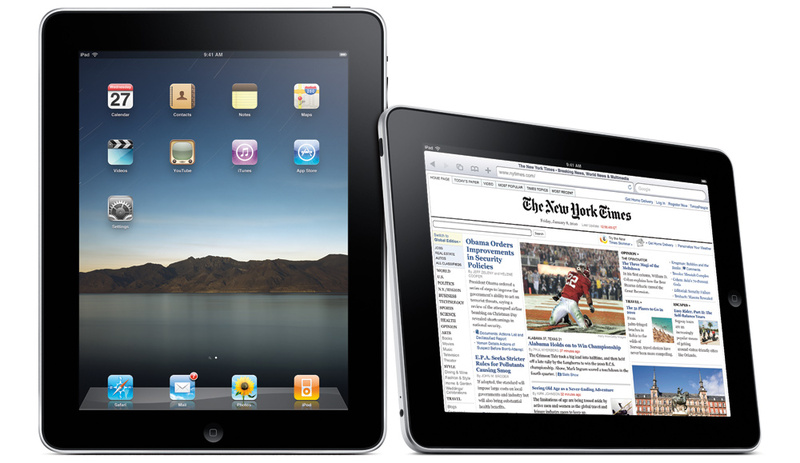 Considering that iPads and other tablets can perform most of the functions that a netbook can provide while being portable and practical like an eBook reader, the iPad essentially combines the best of both worlds into one superior product. And with the consumer recognition of the Apple brand, the iPad, as it has shown with its shockingly high sale numbers, has already become the hottest item on the market, and everyone seems to want to get a hold of one. 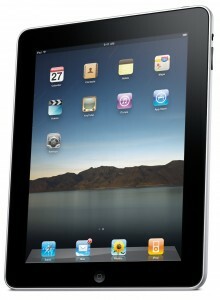 Even looking out at the show floor of CEA today was indication enough that the iPad tablet is a solid tablet device. Every booth had an iPad, either for personal use or to present their products. Some companies like ComiXology, a comic book community and compiling website, have even showed how their comic book reading application for the iTouch works perfectly as a comic reader for the iPad. Another strong example at CEA was enTourage’s eDGe, which is not only an eBook reader on one side but also an Android operating system on the LCD, making it the world’s first dualbook. Resisting the minmalist trend, enTourage chose two screens with two functions that makes it greater than the sum of its parts. Regardless of personal opinion, it must be acknowledged that the tablet PC is most certainly the future generation’s understanding of what a 5 to 12 inch screen size should do. Just like we have come to accept that all of our televisions should be bigger than 32 inches and our phones smaller than 5, the tablet PC will become our mental association with this specific screen range. The only question is whether or not we’ll call them “tablets” or “iPads,” because if no one steps up to the plate, the iPad could very well monopolize the entire market that needs a device with this specific screen dimension.